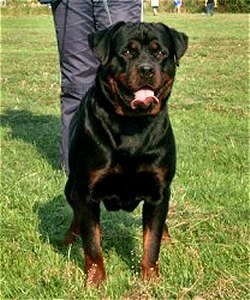 Characteristics: Jodie is strongly built with perfect angulations and overall distinguishable typey Rottweiler features. She is very powerful, just like her world famous mother and father. Her head is large with sprawling wide cheeks reminiscent of the unmistakable look of her father Figo V Grossen Tal. Also thanks to her father, Figo, is her height and generally thick and large boned build for a female. Jodie has dark eyes, black mouth pigment, and a perfect scissors bite. She has perfectly effortless movement and athleticism, and makes any task, whether play or work, look effortless. As for her temperament, she is a perfect lady in all situations. She does possess extremely high drives, as both of her parents are well known for, but manages them with grace and discretion. Jodie is very social and polite at all times in company, and is protective of our family and home as we expect her to be. Pedigree Analysis: Akira has a world class pedigree with 10 out of 14 relatives on her three generation pedigree as INT, Dt. VDH, single, or multi country conformation champions. 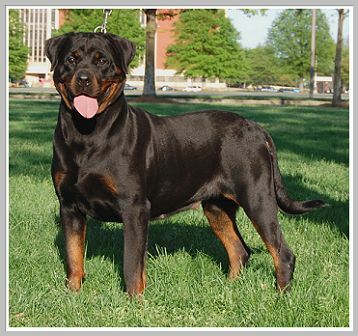 Jodie’s pedigree is a wonderful blend of hard working Rottweiler’s and overall beautiful dogs as well. I would say without a doubt that size looms large in her pedigree. Also, extremely hard work and intelligence would be a characteristic that is shared by many of the dogs in her lines. She combines many lines from Europe and Germany that aren’t seen together these days. Jodie’s father Figo Vom Grossen Tal is a good example of this. Figo is out of a combination of the world famous son of Mambo Von Der Teufelsbruke, Cliff Von Der Konigskanzel, and Zita Vom Hause Djurdjulov. Zita is the full sister to three world champions that came out of multiple breeding’s of Bronko Od Dragicevica and Dunja Vom Haus Durdjulov, one of Jodie’s sets of Great grandparents. This combination of size, beauty, and tenacious working ability is just one of the reasons that I maintain that Alex at Vom Grossen Tal is one of the best all around breeders in the world. The result, Jodie’s father Figo is 68 cm tall and 140 lbs of twisted steel muscle. His head is literally as big as a basketball! His working drive is insane and yet he is approachable by complete strangers at shows. Combine this with Jodie’s mother Akira Vom Grossen Tal’s bloodlines. Akira has a world class pedigree with 10 out of 14 relatives on her three generation pedigree as INT, Dt. VDH, single, or multi country conformation champions. Furthermore, Akira’s pedigree is well rounded and provides a balanced canvas for producing working and conformation champion puppies from a large, varied list of possible sires. 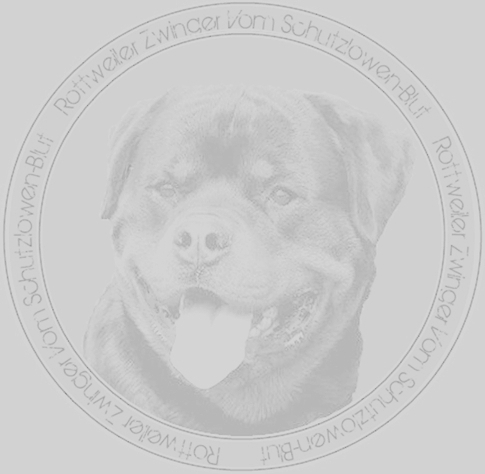 She is line bred top and bottom on Chris Vom Obergrombacher Schloss as well as Falco Vom Sittard who is out of Norris Vom Gruntenblick, and Cita Vom Sittard, a Benno Von Der Schwarzen Heide daughter. 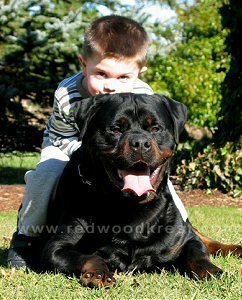 Akira’s maternal grandsire Dollo Vom Haus Nagy is from a line breeding on Benno Von Der Schwarzen Heide and Norris Vom Gruntenblick, via his sire is Hoss Vom Gluckstern, an international champion son of Rick Von Burgthann. Akira’s bottom side dams are out of a combination of Matcho Von Burgthann, Flash Vom Wulfurt Turm, and Chris Vom Obergrombacher Schloss. Akira’s topside pedigree is bred for huge heads, athletic ability, and intellect. Her sire Falcon Junior Montana II is out of Falcon Vom Sitard son and Dingo Vom Schwinger Happen line bred product, Joker Von Juniper. Falcon’s dam, Burgan, is top and bottom line bred Dingo Vom Schwinger Happen.